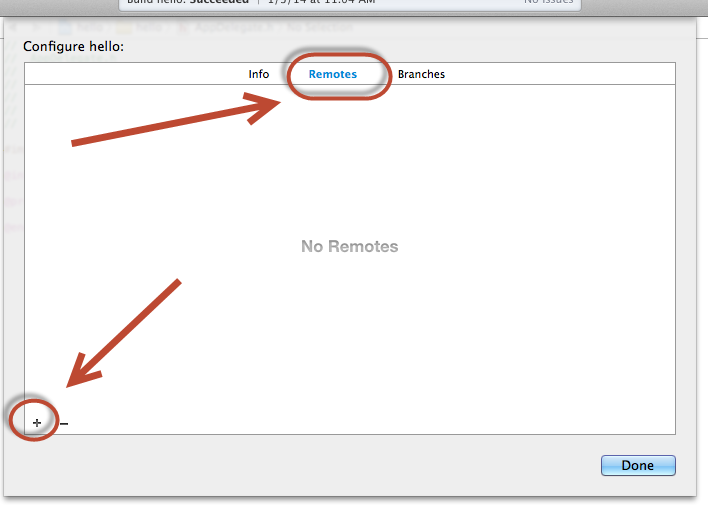 I recently had a friend who is using Xcode and needed to set up a remote git repository for it. 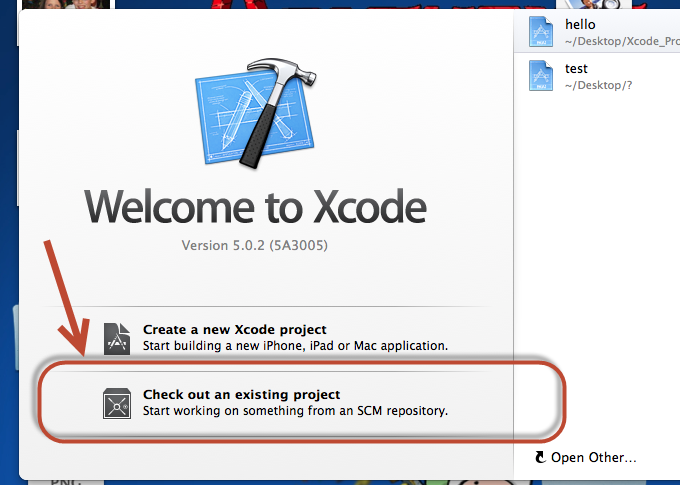 I am not an Xcode user so bear with me if I miss some of the proper set up of Xcode. Here is the set up and instruction I used for him. 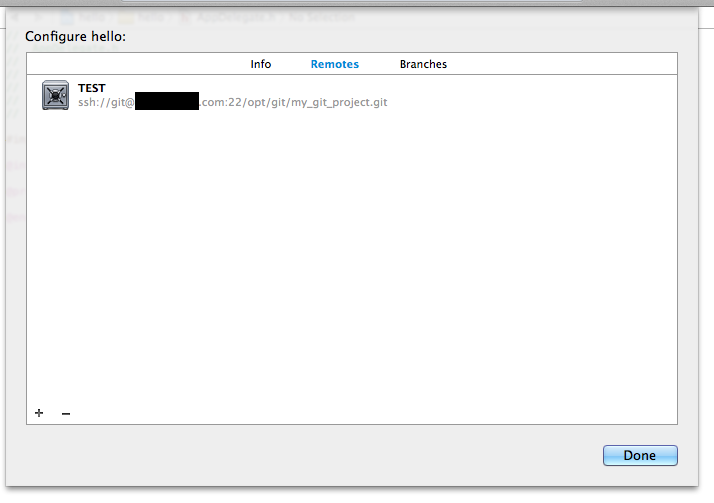 Before you get too far ahead of yourself you want to make sure you have access to the git server you set up. If you see this error "What do you think I am? A shell? You should be good to go. 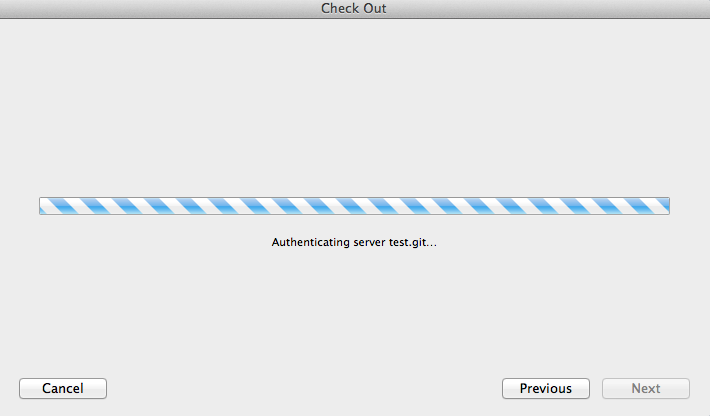 This means your ssh keys are working and the git user does not allow shell access. The Configure window opens up. 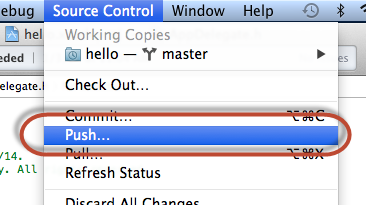 To push to the remote git server from the "Source Control" menu select push. 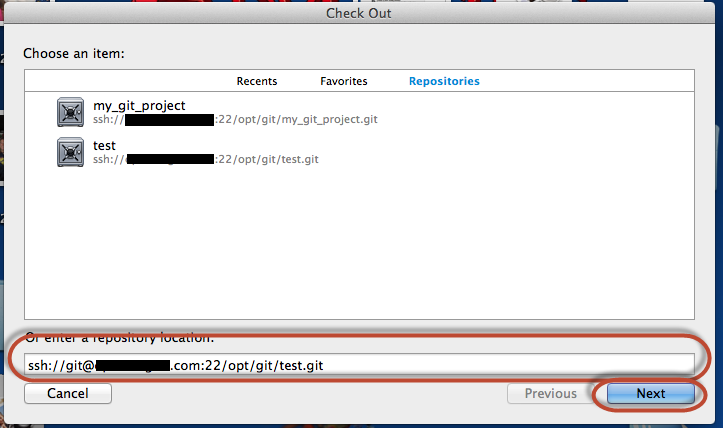 As a quick test run this from the command line in a new folder to clone the repository from the remote git server. It should pull the code down and clone it. Now that you have a project in a remote repository it's time to share it with a fellow programmer. First you need to get their public rsa key and add it to the authorized_keys file. Once that is done here are the steps they need to complete to get the project "cloned" from the remote repository. 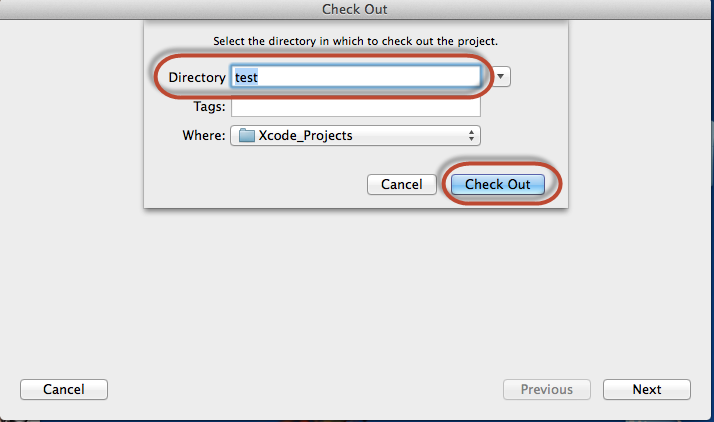 Restart Xcode and click on "Check out an existing project"
Name the directory and click "Check Out"
The project opens and you can commit locally and push and pull from the remote server.